If advertising appears in the music, there is a tiny "x" in a circle you can click to close the ad. Lord, give me the strength to greet the coming week in peace. Help me in all things to rely on Your holy will. Reveal Your will to me every hour of the day. Bless my dealings with all people. Teach me to treat all people who come to me throughout the day with peace of soul and with firm conviction that Your will governs all. Teach me to be Your faithful disciple. Animate me with Your Spirit in every aspect of my life. St. Peter Monastery (Simonpetra), one of twenty Orthodox monasteries on the holy Mt. Athos, an independent state in Greek Macedonia. A fresco from one of the monasteries. 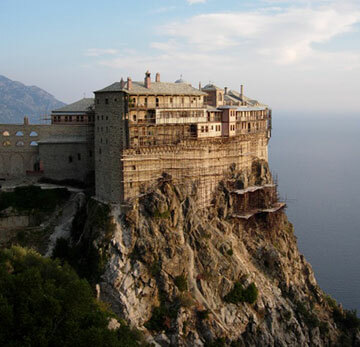 Mount Athos is a peninsula in Greece, inaccessible from the land, owned and governed (as an autonomous Greek protectorate) by the monks of 20 Orthodox monasteries. 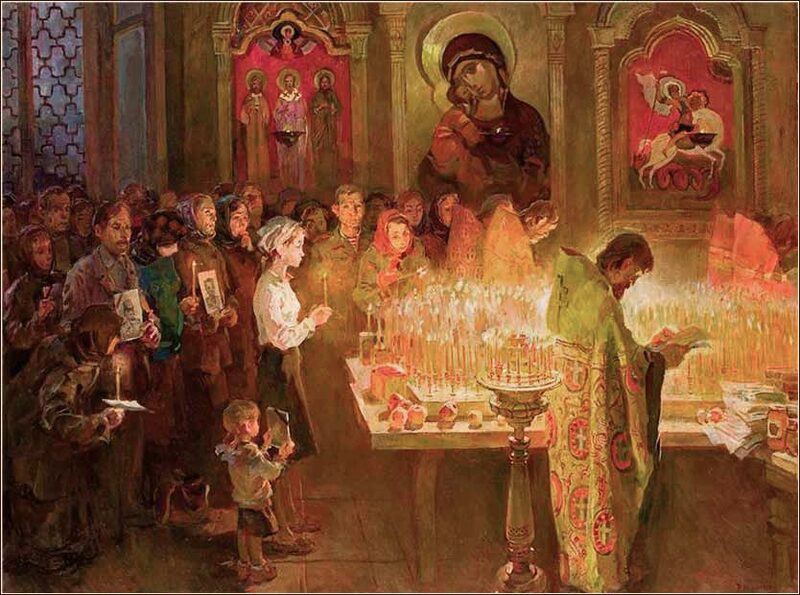 Although Greek Orthodox for the most part, there are also a Russian, a Serbian, and a Bulgarian Orthodox monastery. Even more isolated are twelve communities of monastic hermits, called sketes. Historical documents on ancient Mount Athos history are very few. It is certain that monks have been there continuously since the fourth century, and possibly since the third. No person other than the monks is permitted to live or sleep on Mt. Athos, although a restricted number of male visitors are accommodated each day. The music comes from the Simonpetra (“Peter's Rock”) Monastery, first erected as a stone building in the 13th century (early monasteries were built of wood). Readers might want to read the English version of Psalm 95, below, as the chant plays. 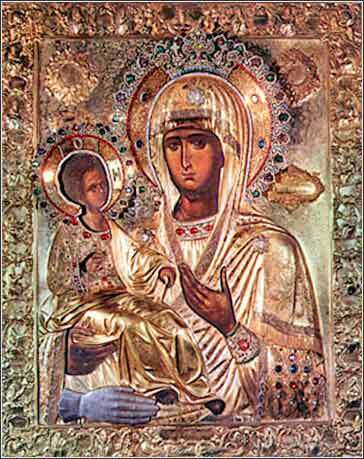 Three-handed Virgin, the most sacred icon of the Serbian Orthodox Church. It is roughly 1000 years old and is housed in the Hilander, one of the 20 monasteries on Mt. Athos.